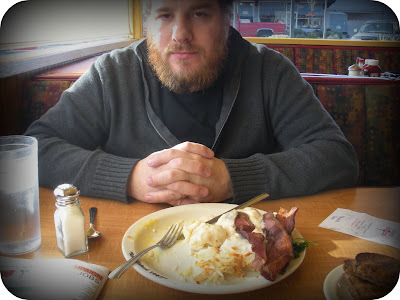 Dan and I were in need of a pick-me-up outing BIG TIME today. 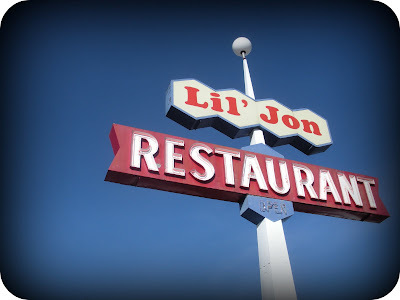 So, we decided to treat ourselves to breakfast at Lil' Jon Restaurant. The sign drew me in. 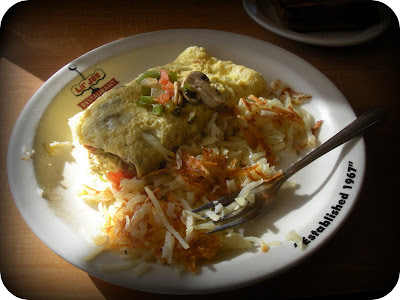 When I'm in a bad mood, I like to get a veggie omelet. I am in love with these plates. 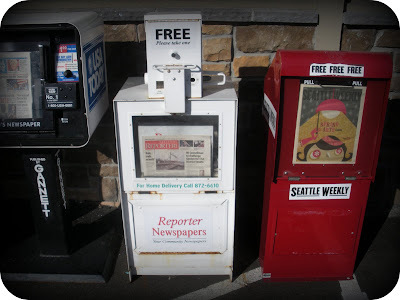 We read the Seattle Weekly and tried not to talk about anything negative. What do you do for little pick-me-up's? a girl after my own heart. i ALWAYS get the veggie omelette (with lots and lots of feta cheese). my little pick-me-ups include: ben & jerry ice cream, a library run, netflix movies, and putting on my itunes. now pardon me while i go watch my gilmore girls! Give LUKE a hug from me.